Last night was the Whisky Exchange Whisky of the Year tasting. While my thoughts on the whiskies up for judging will appear on The Whisky Exchange Blog shortly, they were not the only drams we tried. While TWE’s resident voting system geek (me) was off counting the votes cast (using a Contingent Vote, although altered to take the top three candidates due to a tie) to see who won, the attendees were treated to a mystery dram. The whisky split the room. Most people thought it was good, a few really hated it, and one guy liked it more than any of the others we’d tried. What was the whisky? My second advent calendar dram: Crown Royal Northern Harvest Rye – Jim Murray’s World Whisky of the Year 2016. For those who aren’t aware of him, Jim Murray is a long-standing whisky writer who publishes a yearly Whisky Bible – one of the best-selling whisky books in the world – in which, on top of thousands of tasting notes and lots of awards, he names his top whiskies of the past 12 months. In last year’s book, the confusingly named Jim Murray’s Whisky Bible 2015, he created a stir by not having any Scottish whisky in his list of the three best in the world – Japan topped the bill. This year he expanded the list to four, and there was still no Scottish whisky. In general, the online whisky community disagree with his opinions and don’t like him, and the regular public only hear about him if the press releases around the time of the release of his book pique the interest of major news organisations – last year declaring a Japanese best in the world did that; doing the same for a Canadian whisky this year hasn’t had quite the same effect. I commented on Facebook the other day that I was tempted to write an article defending him. I’d read a large number of particularly personal attacks against him, with accusations that I significantly doubt to be true, and I was starting to get annoyed and tired of the tone of the discussion. I suppose this is that article. Ish. I’ve never met the guy and have heard more bad than good, but at the same time have heard a lot of good. He’s opinionated and arrogant, with very strong views that are often at odds with mine and many others in both whisky fandom and the industry. However, he does know a lot about whisky and the whisky industry, can write pretty well, and is loyal and good friend, even more so if you like football and can overlook his love of Millwall. I don’t think he’d like me if I met him, and I suspect the feeling would be mutual, but that doesn’t excuse some of the things I’ve seen said about him online – don’t be dicks on the internet, people: disagree with the man, but don’t descend to personal abuse. Unless you have a legitimate beef against him, which I know many people do. 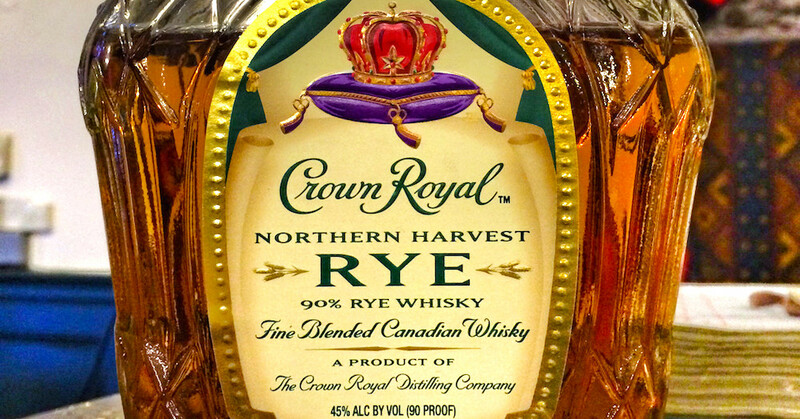 Anyways, his World Whisky of the Year – Crown Royal Northern Harvest Rye. As he’s made claims about how bad Canadian whisky is in the past – including an admission in this year’s Whisky Bible that he was planning on demoting the country’s whisky from being a category in their own right due to a lack of good bottlings – it’s a shock that he’s got behind a whisky that many people consider unremarkable: a regular, easy to find – in most of Canada, at least – $30 whisky. For those interested (ie. me) it comes with a cream-coloured cloth bag, rather than the regular Crown Royal’s purple sack. Nose: Sweet, with toffee and fudge backed up by classic rye whiskey (yes, whiskey with an e) ‘spice’: clove, anise, mace and mint. That sits on top of liquified Danish pastries – a little bit of sultana, some vanilla and buttery pastry – and a hint of ground almond. Palate: Still sweet, with the rye pushed to the back a little ways to start – butterscotch and mint toffees, with some sharper oak notes, herbal lozenges and green-apple spirit sourness. The rye slowly emerges as a more dominant flavour, along with direct sweetness – sugar dusted porridge and creme brûlée – but always returning back to the herbal/spice and sour fruit core. Finish: Apples and apple skin fading to soft nutmeg and cinnamon, but not hanging around for too long. As expected, it’s decent. The extra rye content (90%) bumps it up beyond Crown Royal’s regular output, giving an extra spicy dimension. But it doesn’t touch the output of Canada’s own Alberta Distillers, who, along with the Indiana’s MGP Ingredients – the artists formerly known as LDI – produce much, if not most, of the great rye whisk(e)y that’s sold in both the USA and Canada today. So why does Northern Harvest exist? Rye whisky is big at the moment, and while most Canadian whisky is called rye, most of the time it doesn’t contain all that much of the stuff. 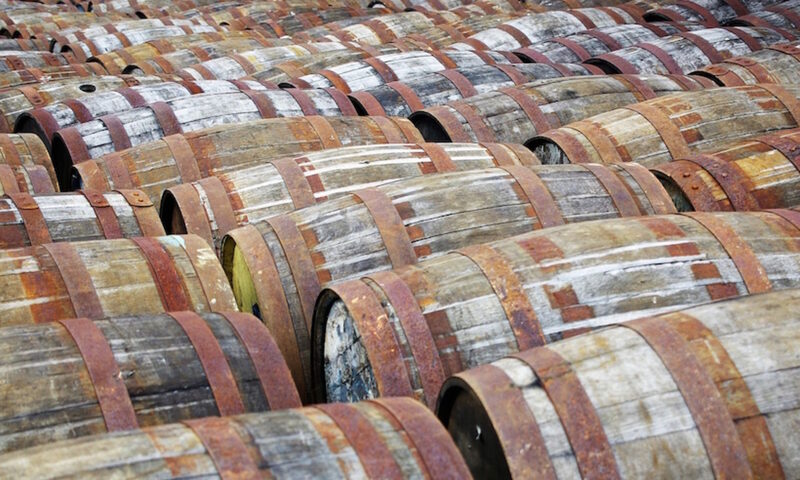 That makes the Northern Harvest something a bit different and fits in with the current overarching strategy of Crown Royal’s owners – Diageo, the world’s largest drinks company. Across all of their various whisk(e)y brands, Diageo are currently doing a lot of brand extensions – adding new expressions to their lineups. Whether it’s Scottish whiskies adding no age statement bottlings to their ranges, with flavour profiles (and marketing) geared to attract new drinkers; the Orphan Barrel series, with its not-necessarily-justified courting of Stitzel-Weller fans; or the new Whiskey Union range of experimental drinks, they’re all about creating new products to bring in new customers or get their existing customers to buy more. The Northern Harvest Rye does that by adding another popular flavour profile to the range – it’s not the only new entry in the past few years – potentially giving consumers of regular Crown Royal a bridge to the higher end spirits that Diageo has in its portfolio. Whether that justifies a Best Whisky in the World or not, there’s a lot more going on here than simply a man in a hat selling books. Canadian whisky has been underdeveloped for years, but that’s starting to change: Diageo is expanding Crown Royal; Pernod Ricard have realised that they own Wiser’s; Forty Creek is now part of the Campari family after an expensive purchase; Beam-Suntory is developing Alberta Distillers; non-distiller producers like Masterson’s and WhistlePig are bottling Canadian whisky and doing really well in the USA; and smaller distillers are not only popping up despite a very difficult regulatory landscape – Canada’s licensing and duty laws are a nightmare – but they are also doing well and making great whisky, a situation that has not always been the case in Canada’s neighbour to the south. I think Mr Murray has seen the way the wind is blowing, and while it could be that he’s hitched his cart to something akin to the Tequila/mezcal bandwagon of past years – the permanently stalled wagon that drinks people (myself included) keep claiming will ‘get going this year’ – I hope he’s on to a winner. All we need now is some way to actually get Canadian whisky over here in Europe, so I can see if the increasing praise is really deserved. Dominic Edsall liked this on Facebook. Interesting post Billy. Yes, JM has become something of a whipping boy., perhaps unfairly. Could;t make last night ( visiting sick family Member in Coventry – same reason I Missed Whisky Show this year ) but the last 2 years were great events – always fun guessing right at blind tastings – I think I guessed an average of about 35% right each year ( he boasted! Hey I’m just a guitarist…) Happy Christmas! Great article Billy. On a personal note, when I was tending bar in Belgium and decided I would like to work in whisky. I was naive enough to write Murray a fanboy email. Not only did he respond, but in great length. He gave me brilliant advice and continued to enquirer afterwards how I was getting on. Whatever anyone says about the man I think he was sound for doing that. So, do you actually like it? I don’t really like rye whisky on it’s own most of the time – the green herbal spicy thing grates on my palate. This one is softer and sweeter than most, which makes it approachable for me, and it’s quite drinkable, but it’s not a go-to for me. @cowfish everyone seems to be presuming the Crown Royal they taste is the same as the one Jim tried. #differentbatch ? well, i was sure it is decent. but 97.5? nevermind where the wind is blowing. he should not be doing that sort of thing. he has 0 credivility as it is. at least he has not claimed to have founded or brought the distillery back from the ashes, or something. David Stirk liked this on Facebook. Blair Bowman liked this on Facebook. Julia Nourney liked this on Facebook. Tony Cripps liked this on Facebook. As I tried to say in the article, some people, yourself included, have real reasons to dislike the guy – they are very much in the minority when it comes to people shouting on the internet. As for Northern Harvest damaging people’s opinion of the whole category, I think Murray’s influence will be significantly lower this year, as the media don’t really care – they only put on a half-arsed effort of manufacturing an angry Scotland to complain about the choice of winner 🙂 Based on the stats I’ve seen, I don’t think the publicity from this will last too much longer, and what does remain will only shine a light on Canadian whisky as a whole, rather than just on CRNH. Johanne McInnis That’ll be the whole ‘We won! Yay!’ thing. It’ll die down soon enough – hang in there 🙂 Hopefully a few people will pick up on Davin’s approach of trying to open the attention up wider than CR. Graham MacKenney liked this on Facebook. Tussilago Getensson liked this on Facebook. Wullie Macmorland liked this on Facebook. Herman Van Broekhuizen liked this on Facebook. Chris Miles liked this on Facebook. OK, you’ve got me interested. I might buy a bottle of that. I do like me a rye whiskey. Good luck finding some – it’s not available officially in the UK and our final pair of bottles got poured at our Whisky of the Year tasting last night. Phil Nickson liked this on Facebook. Colin Stewart liked this on Facebook. Charlie McCarthy liked this on Facebook. Dg Blackburn liked this on Facebook. Simon W Roser liked this on Facebook. And my vote this year goes to the ‘sponge’ for a well written and non-emotional , well considered piece. And also in the hope that he realises that this piece proves he can actually move on from that forced Monty Python-esque attempt at humour. I don’t know about personal abuse of Jim Murray, if only because he’s made the whisky itself personal: HE’s the colossus of whisky, no one else; HE can find ruinous levels of sulphur where no one else can; HE’s the one telling you “the truth” about whisky that no one else will; HE can find whisky worthy of 97.5/100 among very common stock where no one can. I’m sure he’s kind to his dog, but that doesn’t come into play with whisky: he lives on the controversy and hype he creates around his opinions and often steers consumers in the wrong direction with those opinions as a result. The guy is just trying to make a living, but he’s not harmless to whisky. Mark Kieran Jennings liked this on Facebook. John McCheyne liked this on Facebook.